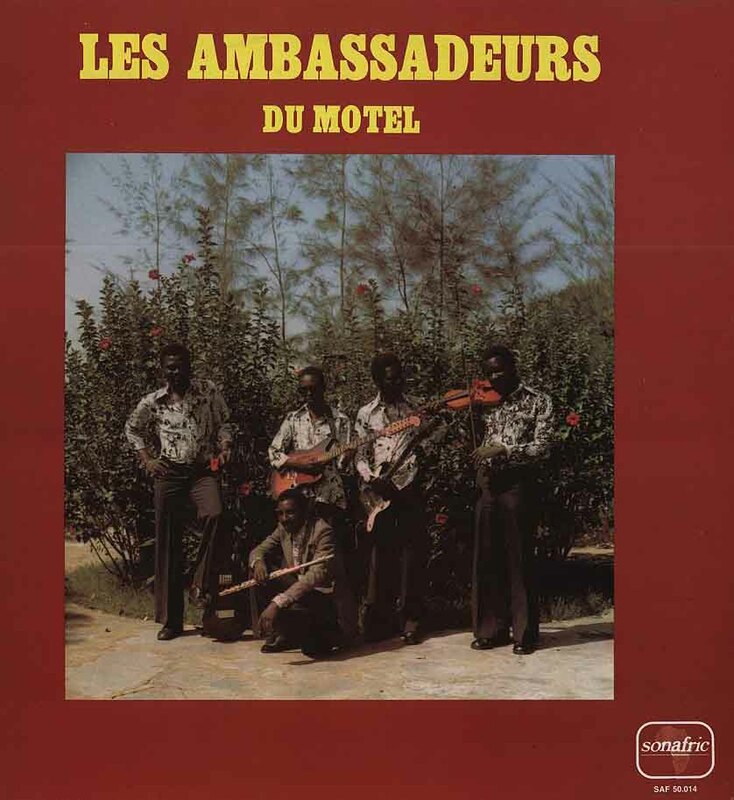 After Salif Keita left the Orchestre Rail-Band du Bamako in 1972 he joined Les Ambassadeurs du Motel, along with Kanté Manfila (pictured, second from right). The group released several singles and with the above LP recorded in 1976. Strangely, Salif Keita is absent from the cover photo, though his vocals on the three tracks on the album drive the band. Of significance on this LP is "Kibaru", a song which the group originally performed at the legendary "battle of the bands" concert held in Bamako in 1974. The Ambassadeurs great rival at the time was the Rail Band, Salif's old outfit, now lead by Mory Kanté. To decide who was the most popular group a concert was organised and both bands were instructed to write a new song for the event. The Ambassadeurs du Motel performed "Kibaru", and by all accounts the audience went wild. The song promoted a literacy campaign organised by the national government and, at 22 minutes, it fills all of side 2. The concert produced no clear winner on the day and it was officially declared a draw. Salif and Kanté Manfila recorded a further two LPs with Les Ambassadeurs du Motel before forming Les Ambassadeurs Internationaux. See the "Discography" menu above.